The MMB Bucharest 2019 Showcase is seeking for Bands from all genres. 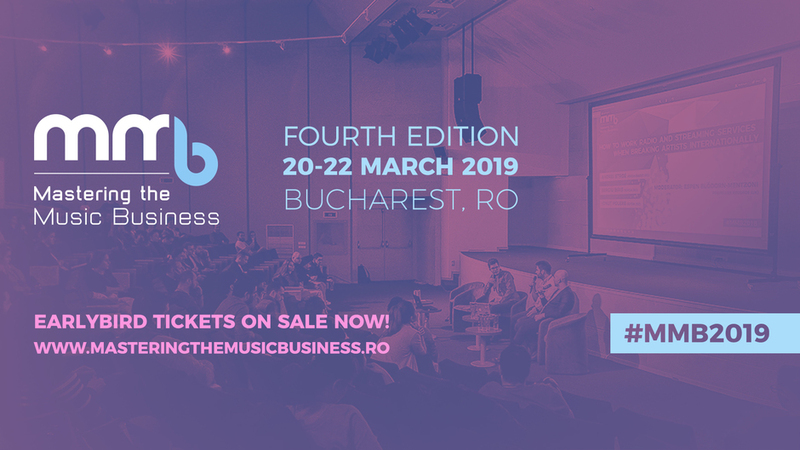 Mastering the Music Business (MMB, for short) is the leading Romanian music business conference and showcase event, now at its fourth edition (March 20-22, 2019 in Bucharest). Our main focus is offering a framework for musicians, managers, booking agents, promoters and other people in the industry to engage in meaningful interactions with key players on the local and international scene. Through a series of panels, presentations and workshops with tens of speakers from Romania and abroad we seek to empower participating artists and their teams by discussing various topics of interest - monetization, music distribution, online marketing, sync placement, indie success stories, festivals, radio airplay, music journalism, good practices and many others. With our 4th edition we would like to continue our focus on the international market, organizing the MMB Showcase as an opportunity for up-and-coming Romanian and international acts to develop their presence on the fast-growing Romanian music scene, to establish contacts and to perform in front of industry professionals from all over Europe as well as the Romanian concert-going audience. We have a total of 10 slots open through gigmit. Selected bands will get to perform a showcase set (30 minutes) at one of Bucharest's top live music venues as part of the conference, as well as 3-day passes for all the panels, presentations, workshops and seminars included in the 4th edition of the MMB Conference. There is no way for us to cover any travel expenses, but accommodation at a hostel for the night of the show can be arranged upon request.